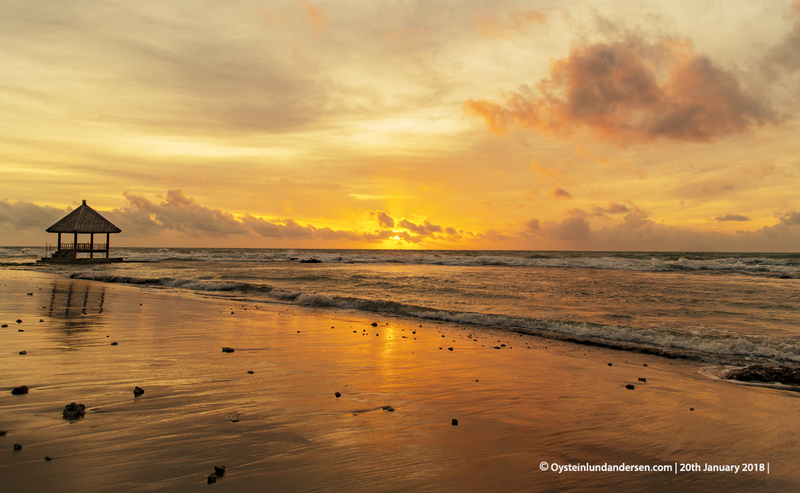 Anyer, also known as Anjer or Anyar is a costal town on the eastern shore of the Sunda Strait, 100 km west of Jakarta.The town was a considerable port in the 19th century, but was completely destroyed by the 1883 eruption of by the volcano Krakatau, that is located in the middle of the Sunda Straits. 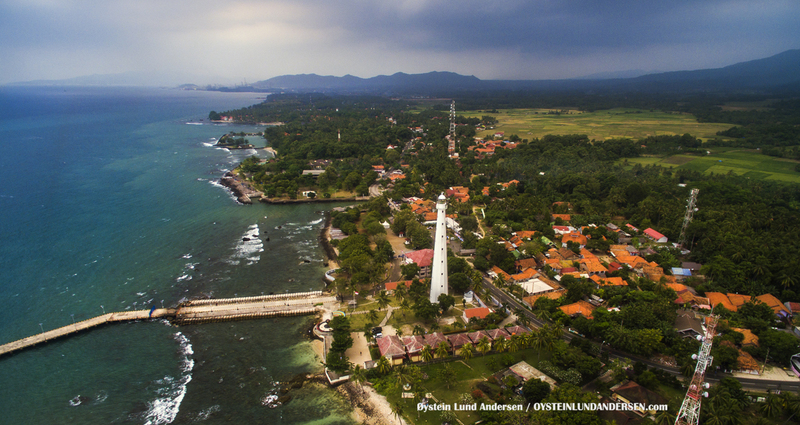 The present settlement still houses the Cikoneng Lighthouse built by Dutch government two years later as a memorial for the townspeople killed by the eruption. 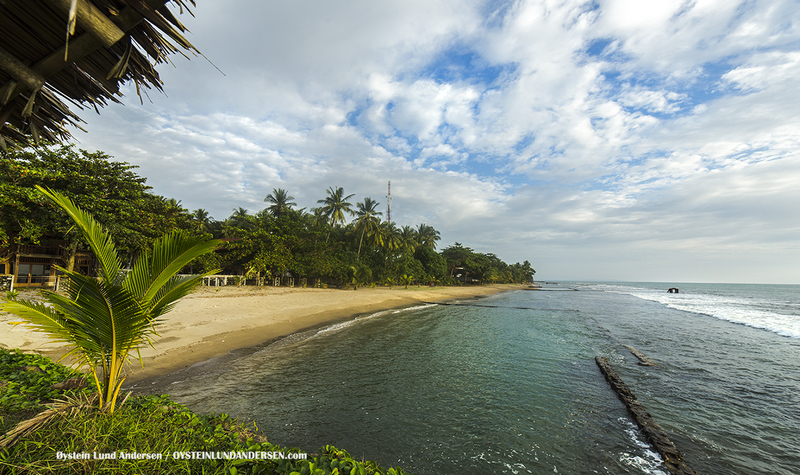 It was also the starting point of the Great Post Road, built by the Dutch in the nineteenth century, which ran around 1,000 kilometers to the eastern tip of Java. 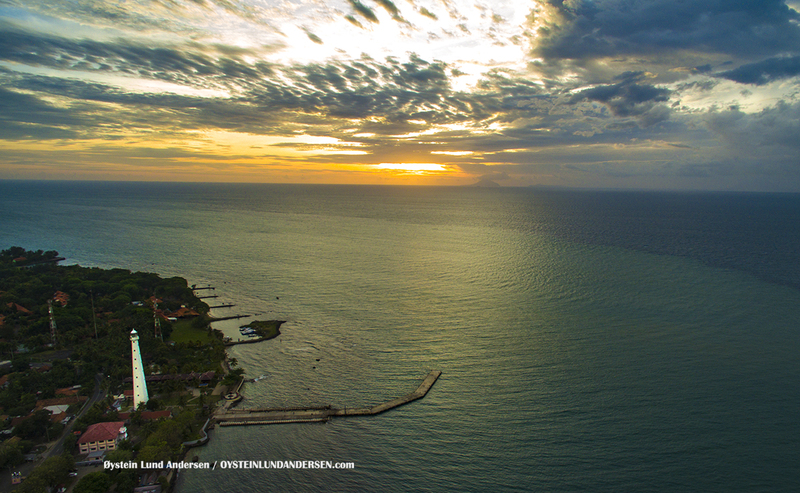 Aerial view of the Sunda strait, between Java and Sumatra. 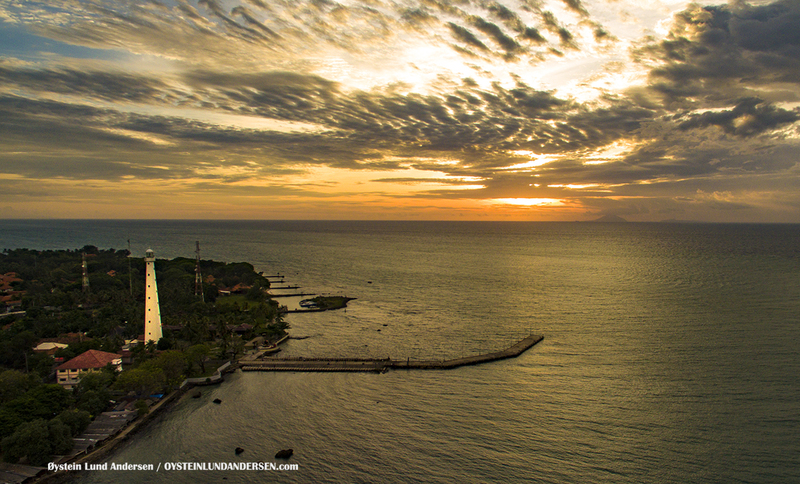 The Anyer lighthouse is standing on the easternmost shore of Java. 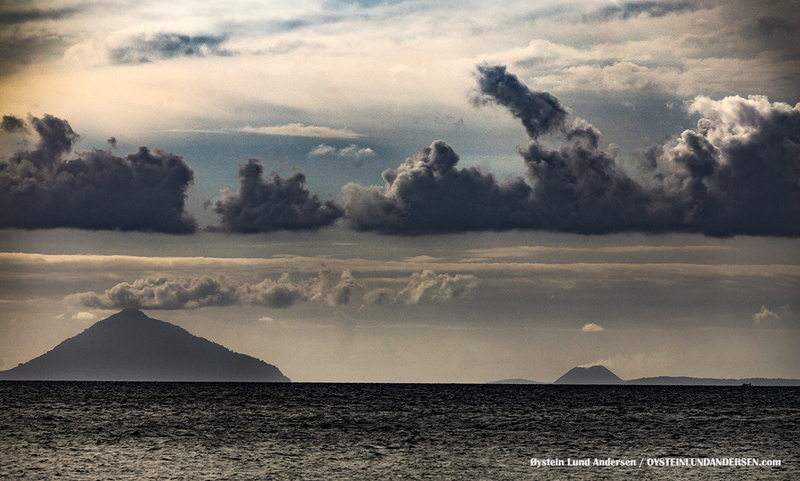 Built by the Dutch in 1885, 2 years after the volcano Krakatau, seen in the background, caused tsunamies to destroy the former lighthouse in 1883. 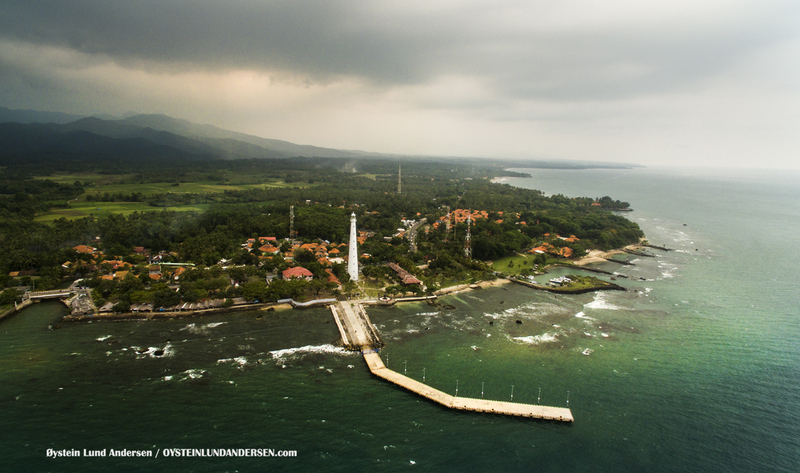 The Lighthouse in Anyer (named: Cikoneng). 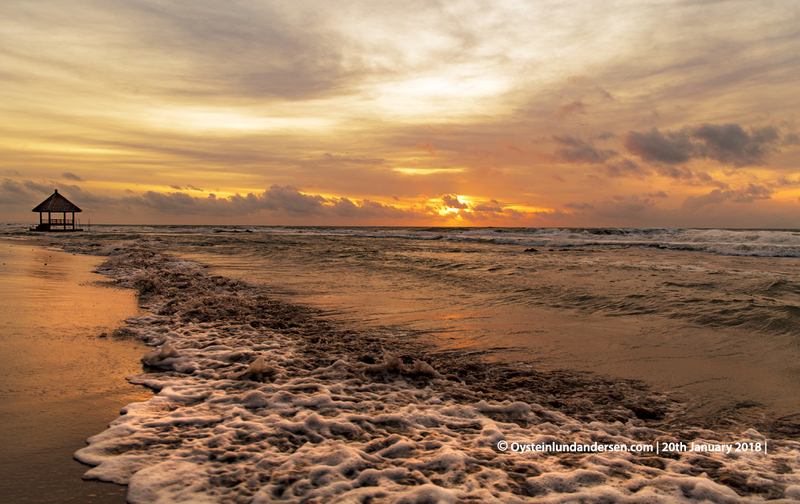 Built by the dutch in 1885. 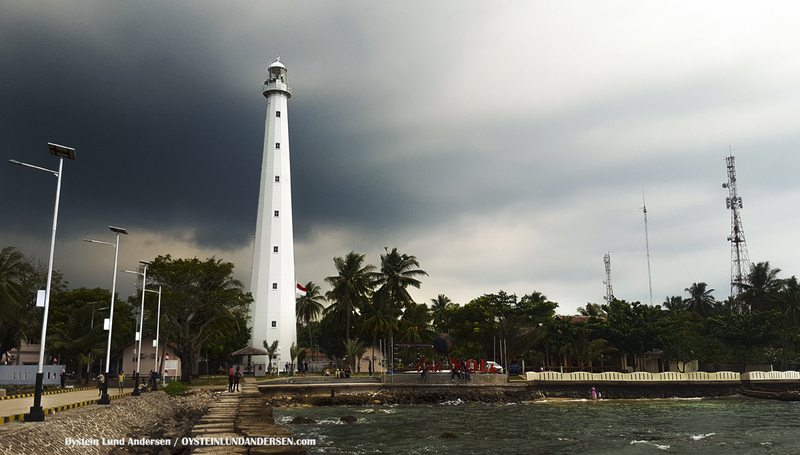 The original lighthouse was destroyed by tsunami waves triggered by tsunamis generated by the Krakatau volcano on 27 August 1883. 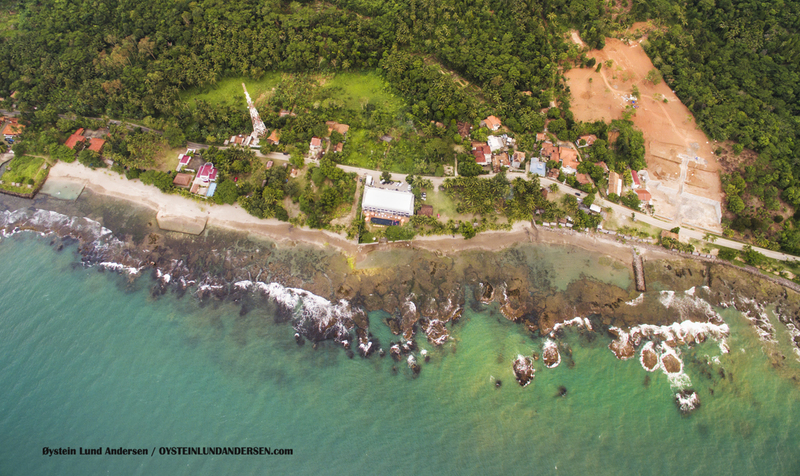 The tsunami waves were at least 30 m high, obliterating all traces of the original light station. 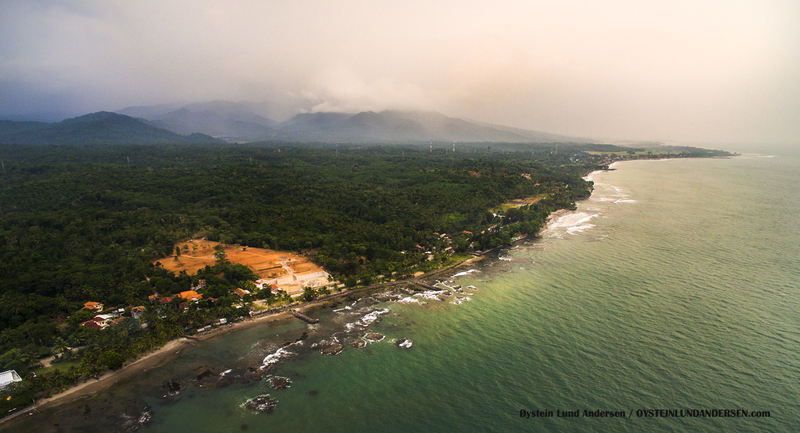 Looking South along the coast of West-Java, the coastline of Anyer and Carita and the mountain (Mount Karang) area of Pandeglang. 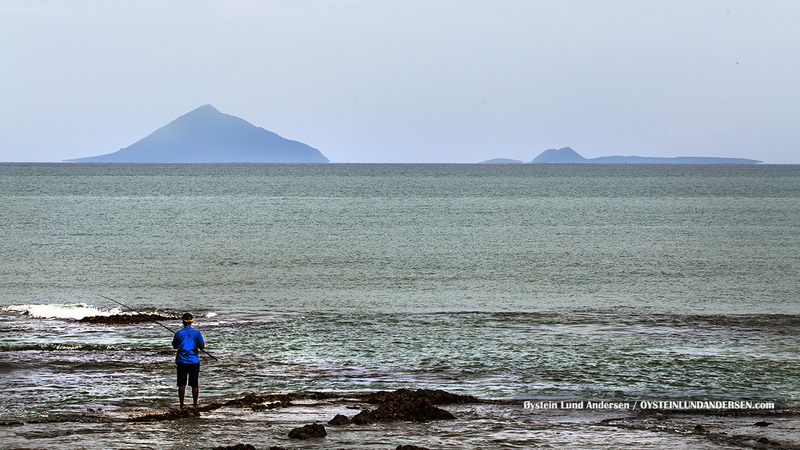 A fisherman stands on the shore of West java, looking out towards the Krakatau volcano, on the morning of the 1th July 2016. 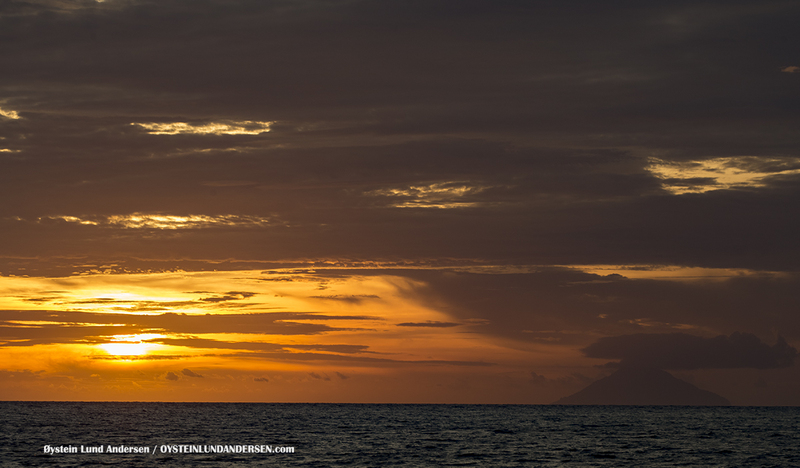 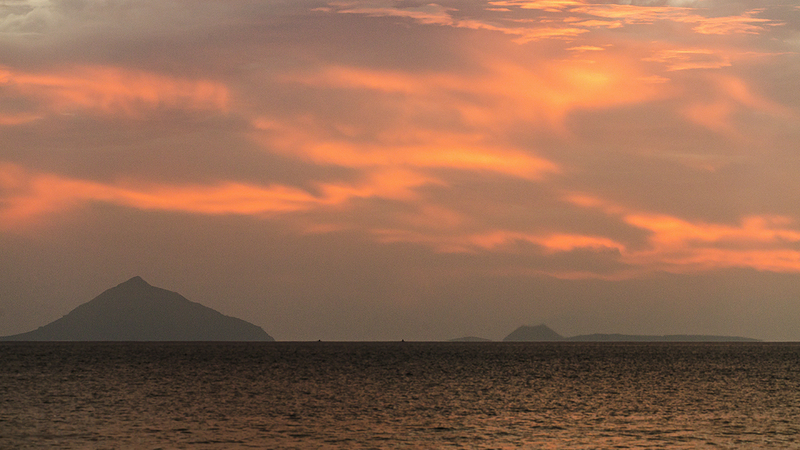 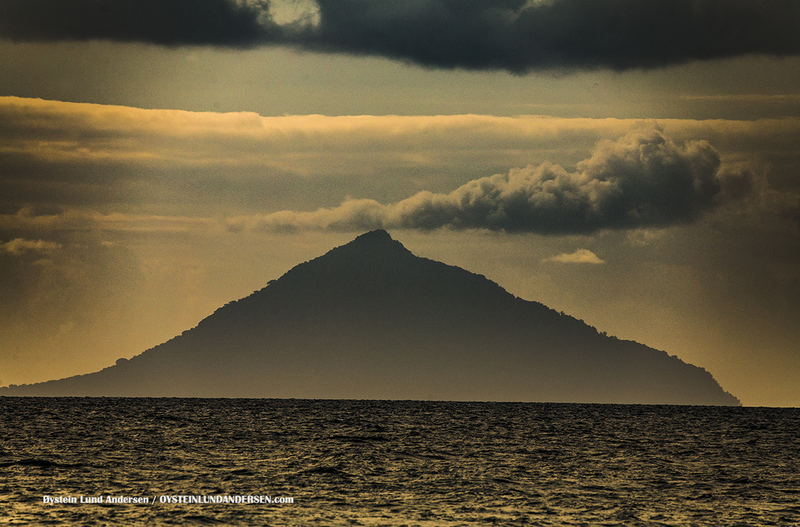 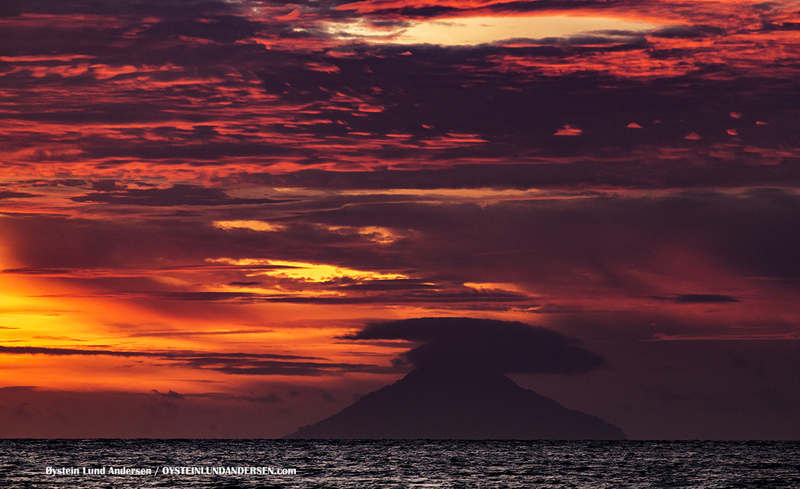 Red sunset over Krakatau today. 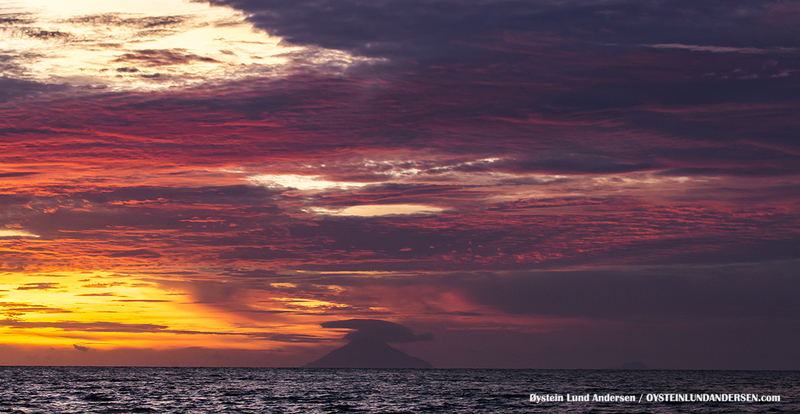 Reminded me of the historical descriptions of the beautiful but strange sunsets witnessed by people around the world in the months after the 1883 mega-eruption.